Social presence for any website is must. And you need to give your users a way to share the content on various social platforms. In this post, find a list of jQuery plugins to add social share buttons in your websites. These social share buttons supports Facebook, Twitter, Google+, Pinterest and Linked-In. These plugins are pretty easy to understand and integrate. Useful jQuery plugin that will help your website visitors share a link on social networks and micro blogs or mobile messengers. Easy to install and configuring on any of your website! Likely is the social sharing buttons that aren't shabby. It supports Twitter, Facebook, Google Plus, Pinterest. A jQuery plugin to create social media share button with share count. Cool Social Buttons is a jQuery plugin that adds social sharing buttons to your site without slowing it down. It is easy to use, powered by CSS3, mobile friendly and fully customizable. 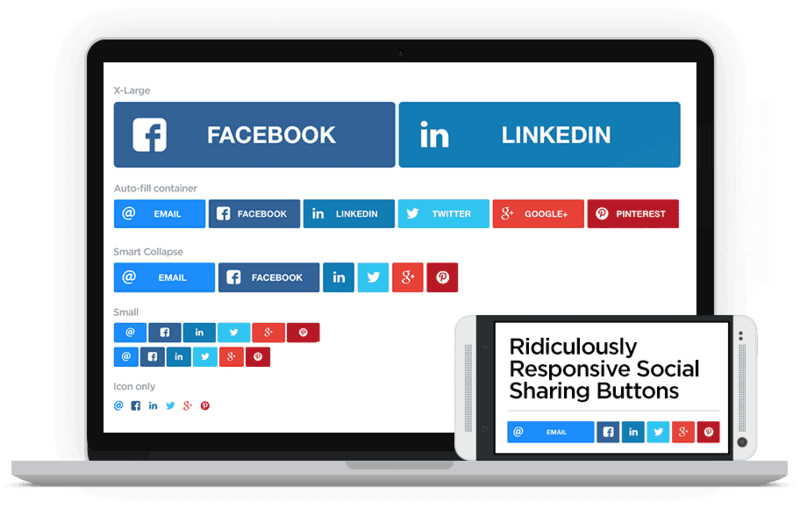 jQuery prettySocial - a custom share buttons for Pinterest, Twitter, Facebook and Google Plus. 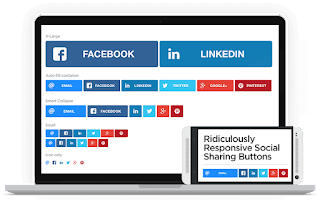 Ridiculously Responsive Social Sharing Buttons is built with SASS, and provides customizable responsive social share buttons.SVGs allow for tiny file size and retina support.